I had this idea and just had to do it once I verified that both plates were available. 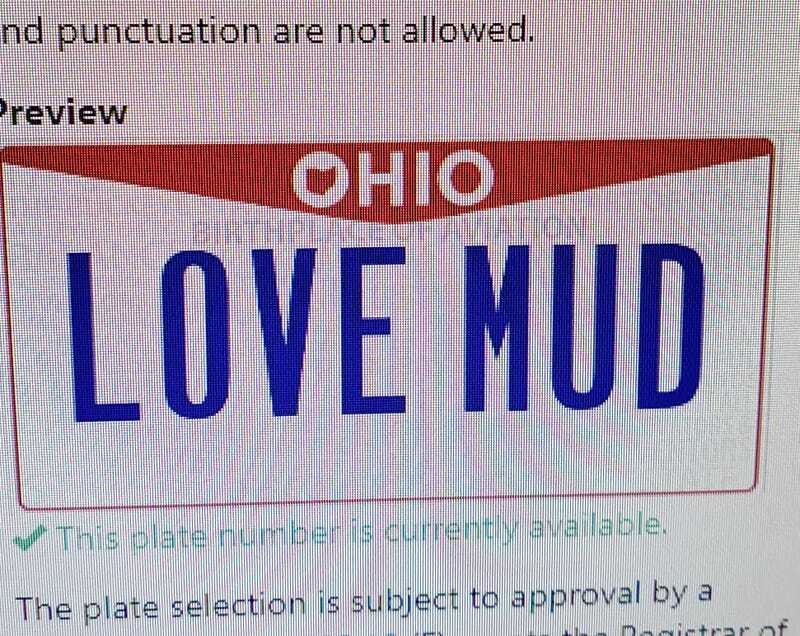 For the 4Runner, I got LOVE MUD. The reason will be obvious to everyone once it’s all lifted with big tires and such. Plus Ih8Mud is an obvious reference for anyone familiar with Land Cruisers and their Lexus variants. I’m pretty excited, and can’t wait to get the 4runner done and take pictures with the pair. But the best part? When I went to the BMV (I could order the Lexus plates online, but since the 4Runner doesn’t have plates it required a trip in person), and told her the plate I wanted, she said that she’s supposed to check on urbandictionary.com to see what it means, but since mine was clear she would skip this step. I stopped her, and said, “Wait a minute! You’re telling me that part of the official BMV process of issuing license plates is to first check the definition of the word on urban dictionary dot com?” She confirmed. That is fantastic.